Do older people use Facebook to lecture younger people about politics? As a researcher, I have co-authored a paper that investigates political Facebook use amongst younger age cohorts. Stephen Wolfram, author of Mathematica, released a series of different statistics on Facebook usage using a sample that includes over a million people. Figure 1. Age distribution of Facebook users compared to the US Census. Figure 2. The number of friends based on age. Figure 3. Age distributions of users based on age. Figure 4. The popularity of topics discussed in status updates. Figure 5. 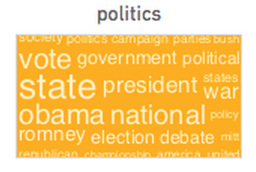 Status update word cloud: politics. Figure 6. The discussion of politics based on age and gender. These graphs, taken together, seem to be telling an interesting story. Figure 1 shows that Facebook seems to be in strong popularity amongst younger users. This fact is not immediately surprising. 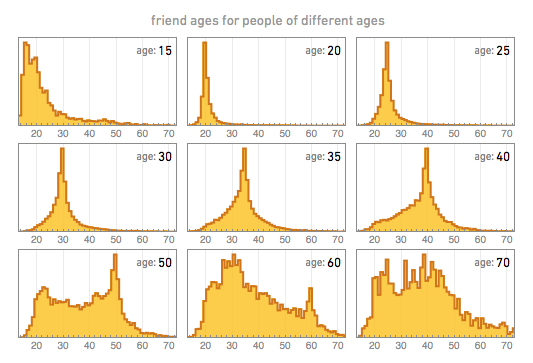 In addition, Figure 2 shows that younger users have more friends. Having more friends is not necessarily a good thing. On average, Facebook users in their 20s have 400 friends. Here, it’s appropriate to cite the Dunbar number, suggesting humans can only maintain 150 meaningful relationships at one time. Younger Facebook users may be collecting friends, while perhaps older users spend more time fostering the fewer relationships they have on the social networking site. Figure 3 shows the distribution of ages for users based on their own age cohort. Most users have a strong base of friends that are their own age, the only quick forum readtopic propecia none generated exception being users over the age of 70. Another surprising finding of Figure 3 suggests that users between the ages of 50 and 70 have a substantial proportion younger friends. Thus, Figure 3 suggests that older users are using Facebook to communicate with younger users. The political use of Facebook is shown in Figures 4, 5, and 6. In comparison to other topics, politics is not a popular item of discussion on the site. 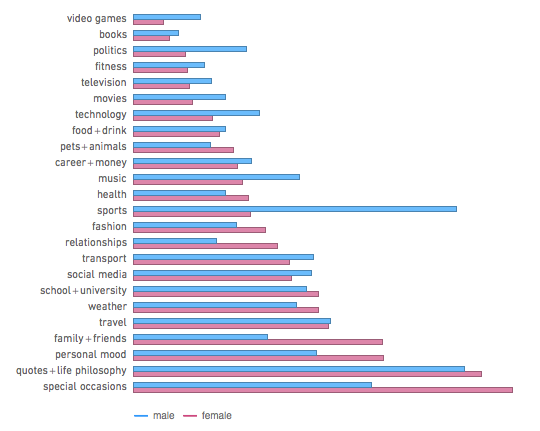 Facebook tends to focus on fairly personal topics, with topics on special occasions, life philosophy, and general mood being the most popular topics. However, when politics does come up, it seems to be focused on presidential elections and candidates, as shown in Figure 5. Again, not surprising. Most people tend to ignore politics except when elections are at their most salient. Figure 6 suggests that as a topic, politics seems to be much more popular with older cohorts. When political discussion occurs on Facebook, it is more common amongst cohorts that are older. Taken together, these figures may suggest that older users are discussing politics with younger users on Facebook. This informal analysis is not showing causality, but it would be an interesting to use a large-n study to follow up on this hypothesis. Older users are one of the last adopters of Facebook. However, given its extreme popularity with one billion active users around the world, researchers should be more concerned about how all populations interact with the medium.